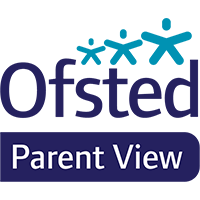 The governing body at Clifton Green works with the headteacher and the school staff to help fulfil the school’s aim for all children to secure high achievement and experience opportunities that enrich their lives. The headteacher and the senior teachers are responsible for the day-to-day leadership and management of the school, while the governors operate at a strategic level and act as a ‘critical friend’. A critical friend offers support, constructive advice, and acts as a sounding board as well as providing challenge to the headteacher and school, asking questions and seeking information to arrive at the best solution. The Chair of Governors is Mrs. Lynn Comer. Lynn has been a governor at the school since 1996, and became chair of the governing body in 2001, having gained experience on all the committees and having a special interest in special educational needs and child protection. When not engaged in governor duties, Lynn works for the Diocese of York, as Director of the School of Ministry, teaching theology and biblical studies and training students for ministry in the Church. Lynn can be contacted via the school office. Two Parent Governors who are elected by parents/carers of registered pupils and were parents/carers at the time of their election. Parent governors do not have to leave if their child leaves during their term of office, but they can if they wish to. When a parent governor vacancy arises, nomination forms are circulated to all parents. One Local Authority Governor who is nominated by the City of York Council. They usually live locally and are interested in the school and community, but our LA governors are not councillors and don’t represent any political party. Two Staff Governors, one is the headteacher and the other is elected by the teaching and support staff employed to work at the school. If they leave the school, they cannot remain on the governing body. Ten Co-Opted Governors who are appointed by the governing body. These are people who live and work locally and bring specific skills to the governor team. We also have a clerk to the governing body and two associate governors who attend meetings and contribute to discussion, but do not have voting rights. The governing body has an important part to play in guiding the school and raising school standards. ensure that financial resources are well spent. Agreeing the aims and values of the school. Making decisions on the school’s budget, expenditure and staffing. Ensuring individual pupils’ needs are met, including special needs, monitoring and reviewing the school’s progress and approving school development plans. Fulfilling our statutory duties to ensure that the school provides a safe, healthy and inclusive environment. Hold full governing body and sub-committee meetings to manage the business. Invite staff to governing body meetings to tell us what is happening in their area. Make visits to the school. Have links with particular areas of the curriculum such as literacy or numeracy. The full governing body has legal duties and powers, and all governors share in that corporate responsibility, working by collective decision-making and shared power. Governors do not represent the individual interests of parents, staff, or any particular group within the school or wider community. Teaching, Learning and Curriculum (TLC), which monitors what and how children learn, their achievements and the quality of teaching as well as attendance and behaviour. Resources, which manages the financial, premises, staffing and teaching & learning resources as well as monitoring health and safety. Pay and Performance management, which manages the headteacher’s performance, monitors the performance management processes for other staff and has responsibility for teachers’ pay. These committees meet between three and five times a year. As well as being members of the full governing body, all governors sit on one or more of the committees depending upon their interest and skills, and they might have special responsibilities for a subject area or year group.